1794: Francis Peter Faber Pacificus Leonard Cartolari was born, the son of Peter [future Stigmatine]. 1816: The birthday of the Congregation. On this day, Fr. Bertoni, Fr. John Mary Marani and Brother Paul Zanoli came to the Stimmate to take up residence. The beginnings of the Congregation. 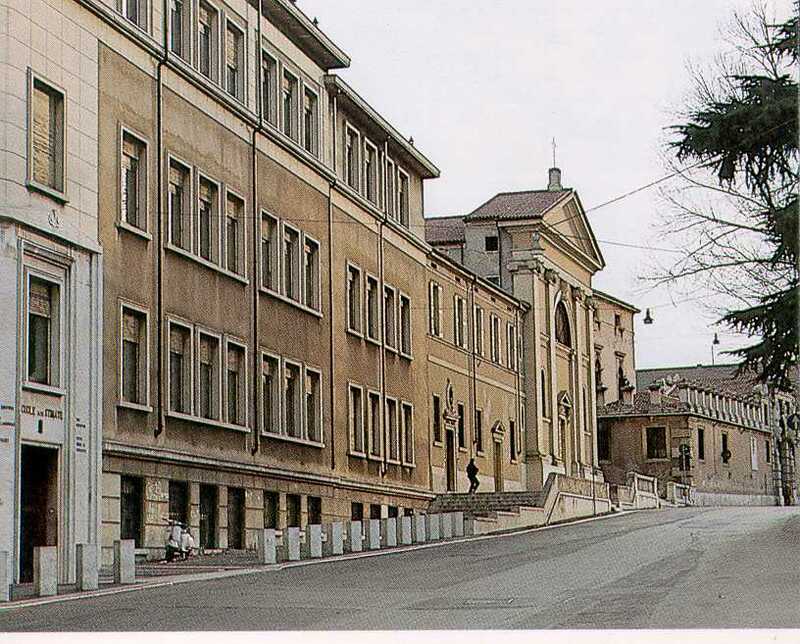 1862: The Novitiate was transferred from the Stimmate to the Trinità for the second time. Fr. Marani, Superior General, blessed the House, that had been renovated. Fr. Vincent Vignola celebrated the Mass. The Triinità had been vacant for the past three years due to the work going on there. There were three Professed Students: Charles Zara, Francis Sogaro and Louis Morando [these last two would pass away as Consecrated Bishops]. There were four Novice Students: Andrew Sterza, Joseph DeVai, Joseph Sembianti and one other. There were also several Brothers there: Bro. Zanoli, Infirmarian and laundry; Bro. Nicora, Porter and tailor; Bro. Reali, Cook. Among the Aspirants were Anthony Caucigh, Pio Gurisatti and James Marini. 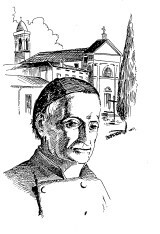 1885: On this date, Bishop Riboldi [later Cardinal], welcomed the Congregation of the Stimmate into his Diocese. The Congregation had come to Pavia to assist with the Oratory of St. Aloysius; to conduct a night school for workers’ and to preach Missions throughout the Diocese as long as this did not conflict with the other functions there. [49.] Meditation. Death. The past is no more. The future has not yet arrived. Only the present is here. And it is in my hands. Let me live day after day, or rather from morning to midday and from midday to evening. Let me do every single thing with all possible perfection. Perhaps I will have no more time in which to glorify God. … Do not take into account anything except TODAY. It is the usual temptation of the Devil to frighten us with the prospect of having to persevere for the whole stretch of a long life. This happened to St. Ignatius at Manresa. But who is not able to make an effort only for one day? The good use of time! Fr. Gaspar makes a practical resolution for holiness in the spirit of the most pure love. What matters for him is only the greater glory of God. Scripture and of the Gospel. WATCH: This means we have to be fully awake and strong: but without weapons. One could not resist if attacked: we shall be conquered. PRAY: This means to be well armed, but asleep. If we are to be attacked we shall be stripped of our arms and killed by treachery. WATCH and PRAY! This is a man who is strong, awake and well armed. He won’t be conquered. Along with being our bicentenary, November is also the Month of the Holy Souls! Let us pray for our deceased, relatives and benefactors – and Stigmatine Lay members. Rodriguez, Part I, Tract 2, c. 6. Fr. Stofella found this text of Augustine’s Confessions 11, in: Fr. Vincent Houdry, SJ, Preacher’s Library. Remondini: Venice – a book much used by our early Confreres.